How valuable is your sponsorship spend? Now that we’ve talked about the identifying the best properties to sponsor and you’ve got your sponsorship deals in place, what’s next? Last week’s article covered the performance-based sponsorship model that major sponsors like AB InBev have started to implement with their sponsored properties. One of the key components of performance-based sponsorships is the ability to identify and measure the sponsorship metrics that matter, to ensure that the sponsored properties meet the objectives of the sponsor, i.e.,true alignment that is essential for success. Brands sponsor for a multitude of reasons such as, to build brand awareness and drive excitement about products and services, increasing sales and reaching exciting new audiences and markets. Whatever the end goal of a brand sponsorship may be, the brand needs to identify the necessary metrics and measure their impact in relation to its goals to discern the best sponsorship investment. There are various metrics available to measure the effectiveness of a brand’s sponsorship. However, most of these popular metrics may be vanity metrics — they are flashy metrics which look good, but have little to no impact for a brand’s goals. (For example, social media impressions or the number of times the post was displayed, may seem like a great metric with a huge number, but does not always contribute to a tangible value to the overall goals of the company). As a brand marketer, it is important to identify primary metrics that further your organization’s goals, then monitor and measure them accurately. This helps ensure that sponsored properties are meeting their set objectives and will also help identify potential new properties who are performing well on the chosen metrics. Engagement, promotion quality, logo visibility and social media reach are some examples of good primary metrics for an organization. Secondary metrics may vary depending on the sport or the property, but the primary metrics for a brand sponsor should be constant. Tying your primary metric to the primary business objectives is key — be it brand awareness or increased sales. The most important primary metric for a brand sponsor should be sponsorship ROI. This metric evaluates the effectiveness and engagement of the promotions by sponsored entities, allowing the brand marketer to compare the budget spent on sponsorships to other marketing budget items like digital advertising or PR. To calculate sponsorship ROI, brand marketers must have a reliable tool in place to capture all the promotion coming from sponsored properties related to their brand and have the ability to place a value on that promotion. While there are many ways to do this, the Hookit Valuation Model (HVM) provides the most reliable value for a sponsorship investment because, it focuses on the true cost of the media (based on real executed ad rates) along with what the engagement would have cost the sponsor. This cost comparison method allows sponsorship spend to be directly compared to other items in the marketer’s budget. Read more on how the Hookit Valuation Model works further down this article. In short, while brand awareness shows how well the sponsor brand is known, brand preference helps understand the impact of this brand awareness. Social media helps put the sponsor brand on top of mind for consumers, by reiterating its slogans/taglines, logos and images through various channels and at various times via its sponsored properties with a call to action. Social media is also a great tool that can help brands understand consumer sentiment and preferences towards a sponsor brand. Measuring and monitoring the social media activity of a brand’s sponsored properties in real time, helps a sponsor brand gauge how consumers are perceiving the brand as well as which campaigns run by sponsored properties are successful and which campaigns need improvement. Engagement on social media also helps sponsors successfully build good relationships with consumers, leading to higher brand preference for the sponsor brand. The holy grail of sponsorship measurement is to validate uplift in sales due to the sponsorship. While there is not one universally accepted method to date, there are opportunities to identify key driving metrics. For example, by looking at sales trend data and comparing it to engagement driven by promotions from sponsored entities, a brand can determine how much of a factor the engagement that entity is driving plays in driving sales for that brand over time. This requires advanced statistical modeling and taking into account other factors as well (more on marketing mixed modeling another time), but is a start toward connecting sales lift with sponsorship spend. At the early stages of sponsorship evaluation, brand marketers typically rely on property-provided metrics because they are free and easy. However, according to MASB, these metrics typically “lack transparency and have bias.” A third-party platform such as Hookit can provide unbiased measurement for a brand sponsor. Hookit actively tracks over 500,000 entities in sports across multiple platforms and data sources. This provides a sponsor brand with a holistic picture as well as the fine detail and data it needs to understand the impact of its sponsorship across all its sponsored properties as well as its competitors. Some of the ways by which Hookit accomplishes this are discussed below. 1.Promoted posts — There are millions of social media posts being generated every minute, but how many of them are actually relevant for a brand sponsor? Sponsored athletes, teams and leagues often post on their social platforms about not just their sponsors, but also about their general day to day activities. In addition, sponsored properties may have many sponsors whom they may promote at different times and platforms. Among all these posts, Hookit only considers the “promoted posts” of a sponsored property, i.e., the relevant social media posts on which the brand is featured either as a mention, hashtag, logo, link or keyword. This ensures that the final value that the sponsor receives is accurate and based on posts relevant to the brand. 2.Total engagement — Engagement, rather than impressions or reach, is key to driving value for brands because it requires the fan / consumer to take action on content related to that brand. Hookit defines total engagement as the number of likes, comments, shares and video views (if applicable) on a promoted post. Each platform has industry-specific cost per engagement (CPE) metrics defined, which the HVM takes into account to give each post a value. 3.Promotion quality — Promoted posts by themselves are not enough, it is also important to identify the quality of the promotion. Many factors influence the promotion quality in a post, such as: How many brands are visible or tagged in the post? If a brand logo is present in the post, how clear is it? Is it large and visible or is it hidden? Is the logo present by itself or is it one among many sponsor brands in the picture? Using many such factors, Hookit determines the promotion quality of the promoted post, leading to a rational and realistic promotion quality value (0–100%) that is then applied to the post value. All these three factors combined provide an accurate and reliable sponsorship value and ROI for brand marketers. In order to increase brand preference through sponsorship, a brand will sometimes enlist ambassadors or influencers, be it people or organizations, who can change perception and create positive affinity for that brand. One way to measure how good of an ambassador that potential sponsored entity is, is through the Hookit Marketability Score. This score shows which sponsored athletes and properties are the best at promoting their sponsors and thus driving brand preference with their followers and fans. 1.Reach score (max. score: 30) — The number of followers the ambassador has. The scores are scaled by percentile of followers for all ambassadors. For example, global football superstar Cristiano Ronaldo has the highest number of social media followers (344M and counting) among all athletes in the world. He has the perfect score of 30. Every other ambassador is scored based on the percentile of their followers. 2.Engagement score (max. score: 35) — How engaged the athlete’s followers are on posts promoting sponsors. The engagement rate for each athlete was calculated based on all their promoted posts (average engagement per post/total number of followers). The engagement rate was considered here to provide a balanced engagement value for comparison. For example, Chloe Kim, the teen snowboarding star has an engagement rate of more than 14%, while Alex Morgan, the global football icon has an engagement rate of only 0.4%. This makes Chloe Kim more valuable to a brand sponsor when it comes to influencing her followers and driving brand preference. 3. Promotion Quality score (max. score: 35) — The value that the athlete drives for brands in promoted posts. While value depends on follower reach and engagement, promotion quality considers both to determine the value per follower, the rationale being that if an athlete is able to drive more value per follower, they are a more effective ambassador for their brand sponsors and will help return greater sponsorship ROI. As a combination of these three scores, the Hookit Marketability Score (out of 100) identifies the ambassadors that are best at influencing their followers in favor of their brand sponsors and driving brand preference. This is a valuable tool for sponsor brands when evaluating their next sponsorship investment. In today’s world of data-driven marketing, proving the impact of sponsorship with comparable metrics is key to retain and increase sponsorship budgets. Metrics help brands ensure that these dollars are being used properly and the sponsored properties (teams, leagues, etc) are meeting and achieving their set goals. They also help monitor and keep track of the value of sponsorship investments. 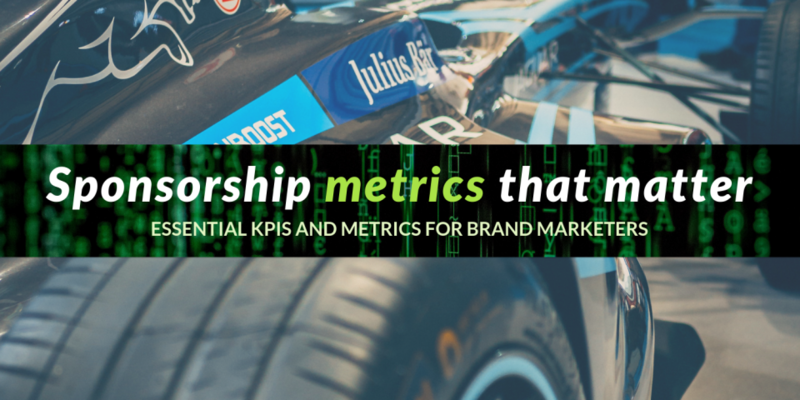 Finally, when researching potential new sponsorship opportunities, metrics can identify properties that are likely to drive the most value for the brand and filter out those that are underperforming. At Hookit, we are now witnessing an aggressive movement by brands to quantify and measure the true impact of their sponsorship, by leveraging tools in house to track and value their portfolio in a holistic way. This is unsurprising, as brands are now focusing more on ensuring alignment with their goals and true ROI measurement of their sponsors going forward. 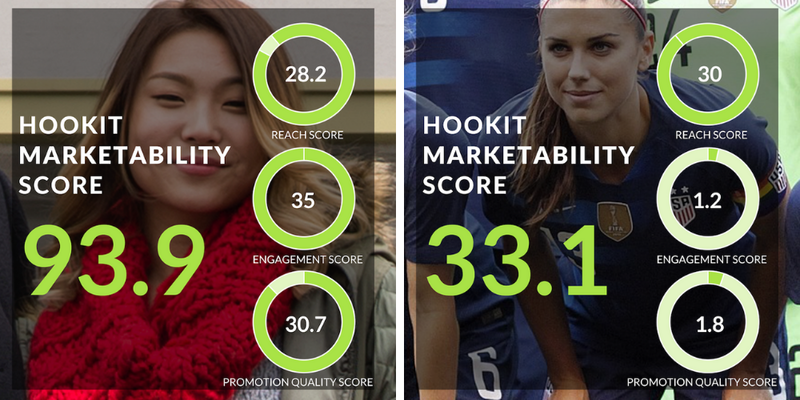 Learn more about how Hookit is helping brands measure their sponsorship ROI! What is SPONTECH and how will it impact you?